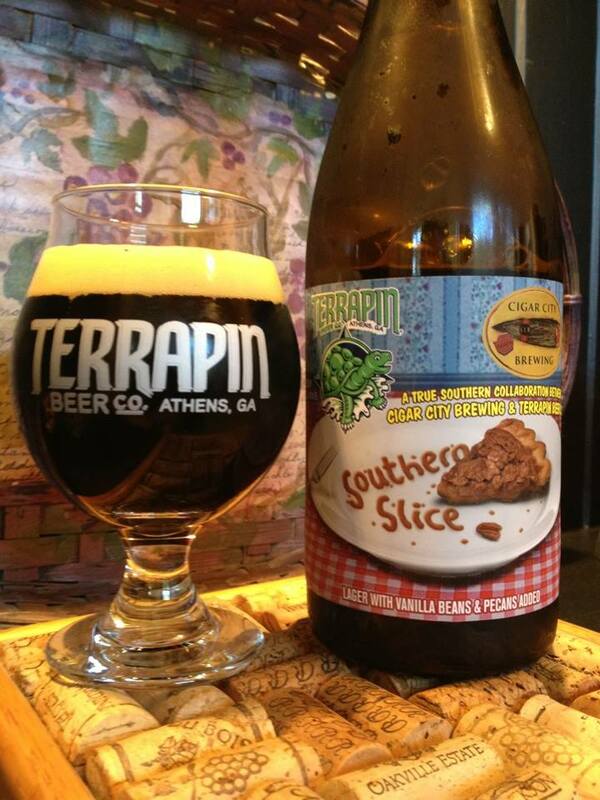 Image provided by Lee, who does not recommend you purchase this beer. A few years ago I went to Portland and had the best donut ever. 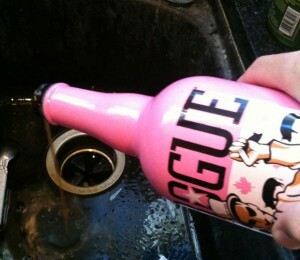 VooDoo Donuts Maple Bacon Donut is just flat out awesome, so I was pretty excited to try Rogue Beers take on the donut, Rogue Voodoo Doughnut Bacon Maple Ale. 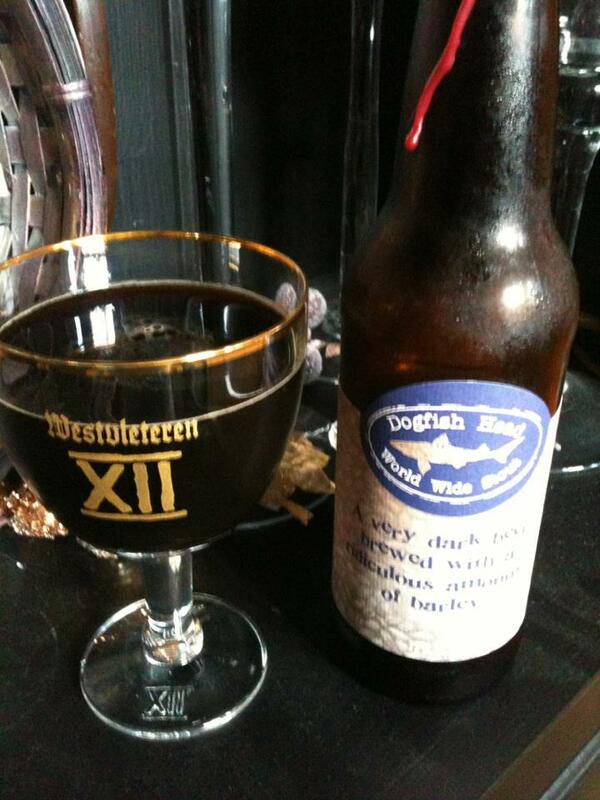 Lee had warned about this beer by stating that it tasted like licking the bottom of an ashtray. Now I’m one of those guys who will drink the milk to make sure it’s sour and I did love that donut so despite Lee’s warning I tracked down a bottle. The beer is a nice deep red color with a fluffy head but the appearance is secondary to the nose on this beer. The smell of maple syrup is overwhelming and one that brings up a lot of memories for me. 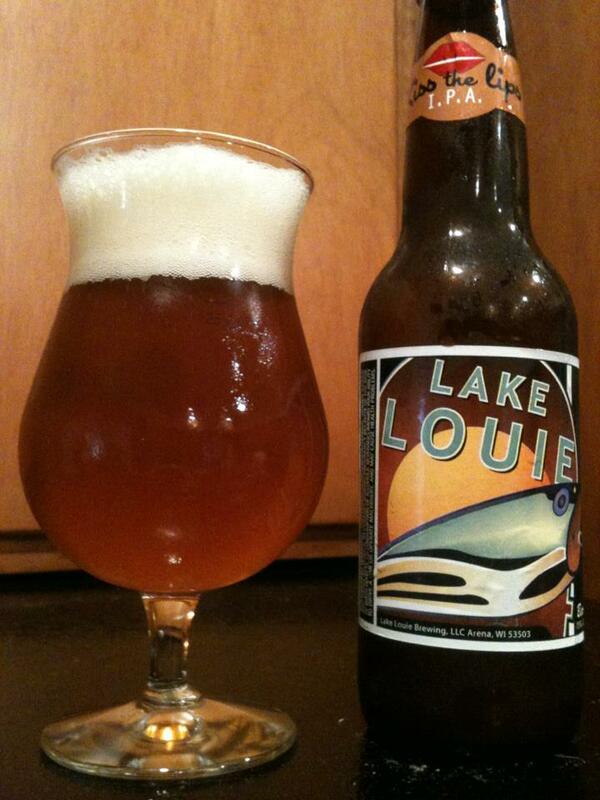 I won’t say the first taste of this beer was like licking the bottom of an ashtray it was more like kissing a smoker. There was a strange dry feel to the beer that was a really off putting. Since I’m that milk guy I did work through this one for a few more sips. The beer did grow on me and lost that cigarette taste but this was a one-time beer. There are defiantly better Rogue beers out there. Two out of five stars for this one. Holy hell. The sweetest ashtray I’ve ever tasted. Smells as advertised. Tart, smoky mess. Maple syrup, bacon. Gross.